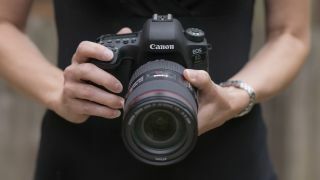 We've put together 49 essential Canon DSLR photography tips and tricks specifically to help you get to the grips with your camera and all the great technology therein. Canon has squeezed in so many features, it's not always obvious how to access them (and the manual isn't always much clearer). From basic stuff, like how to shoot in raw format, through to advanced shortcuts aimed at pros, you'll find everything you need to take better shots faster. Your EOS DSLR gives a wide range of image quality options, but to get the best results you should always go for uncompressed 'raw' files. Raw images reveal the best range of tones - and give greater flexibility when editing with software. It's almost always worth the extra space raw files take up on your card, while you can shoot JPEGs as well if you're not sure.